Reading a memoir is akin to being introduced to a potential new friend with whom to share the mundane and the marvelous. That is how I felt turning page after page in Ilana Kurshan’s memoir, which traces her journey through marriage, aliyah, divorce, dating, re-marriage and motherhood. This lover of literature and devotee of text frames her meanderings through a most unusual map—that of the daf yomi, the daily study of a page of Talmud until its completion after seven years. Each tractate of Talmud initiates a sharing of life events, Jewish knowledge and an abundance of literary references. William Wordsworth, Samuel Taylor Coleridge, T.S. Eliot, Nathaniel Hawthorne, Amos Oz, John Keats, Wallace Stevens, Virginia Woolf and Ian McEwan are among those whose reference adds depth and density to Kurshan’s fluid and engaging narrative. Although Kurshan describes herself as similar to Emily Dickinson in her immersion in texts and need for solitude, that presumed frailty is complemented by a forcefulness. Kurshan memorizes poems while swimming laps, recites morning prayers while strolling with her twins, receives emails from her husband written in iambic pentameter, and while building a family of four children, she works as a translator and literary agent. Kurshan prefers to see each day not as a moment toward growing old, but rather, through her discipline, growing in wisdom. And develop wisdom she does, both in terms of textual analysis as well as imbibing the wisdom the creators of the Talmud impart. 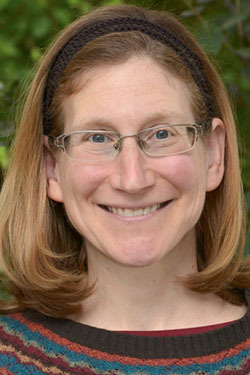 Kurshan reflects on the meaning of Shabbat, her role as a baalat koreh (Torah reader) in egalitarian synagogues, Zionism and American Jews, belief in God, essentials of and conflicts in relationships, mitzvot and blind faith, parenting and nursing babies, Temple sacrifices and property disputes. Kurshan’s narrative tells an elegant, engaging and daunting tale of the many paths of human passion: passion for Torah, for literature, for family, for the Land of Israel, for the broad meanings of being Jewish in the 21st century. This delightful and deep story of a life made me feel as if Kurshan and I had several leisurely dinners together or had met regularly at a café. Do pour yourself a cup of steaming coffee or tea, relax in a comfortable chair and make this author your friend. Rochelle L. Millen, Ph.D., is professor emerita of religion at Wittenberg University in Springfield, Ohio.